The sport of golf has an incredibly rich history, with its roots tracing back to as early as the 15th century on the eastern coast of Scotland. Although the sport was certainly more primitive during this time and involved the players hitting a pebble with a stick on a variety of unofficial ‘courses’, it has developed significantly over the years and has infiltrated the sporting scene of countries across the world, including Northern Ireland of course! In amongst the likes of America, Australia and Scotland, Northern Ireland has undoubtedly made its mark as a home to some of the greatest world-famous golfing talent, alongside a fantastic range of golf courses which are renowned for their diversity, welcoming atmosphere, and breath-taking scenery. 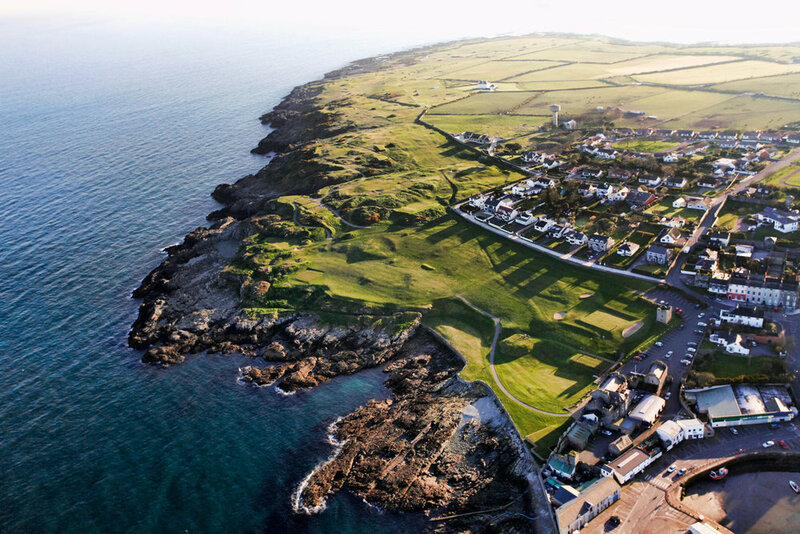 For those looking to know more about the sport locally, we thought we would give you an insight into the County Down golfing scene through the eyes of Paul Vaughan, Director and Golf Pro at Ardglass Golf Club – one of the great courses Northern Ireland has to offer which is located just a short drive from Dufferin Coaching Inn! What do you look out for when choosing where to golf? I think for me, it would have to be a links course. 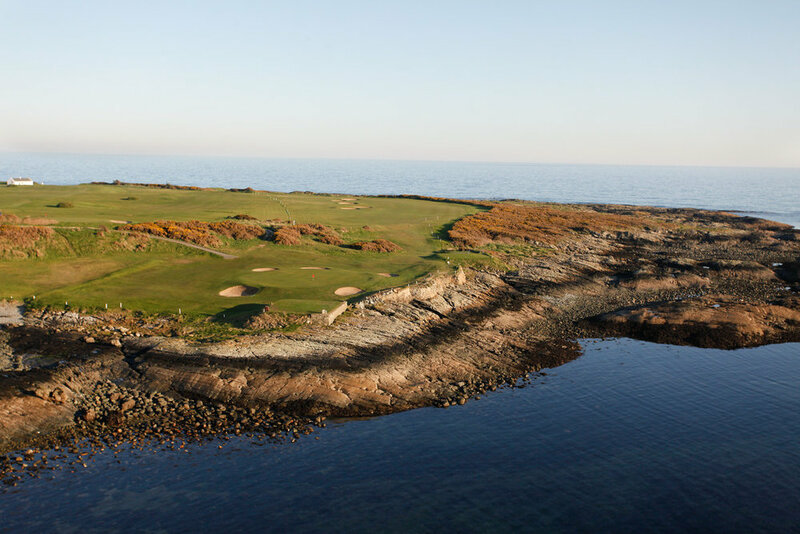 For example, Ardglass offers an award-winning 18-hole links course and presents new experiences which certainly challenge your skills and help develop your knowledge of the sport. What do you enjoy most about golfing at Ardglass Golf Club? The style of the course is really a great way to sharpen your golf skills. Alongside that, we are very fortunate that the course is located in such a beautiful area which offers great coastline views that players can enjoy. I always say that a great atmosphere and the warmest of welcomes are always ready to greet both local golfers and those who visit us from across the world. What sets Ardglass Golf Club apart from other local clubs? It would definitely have to be the breath-taking scenery and the great network of skilled golfers who join us at the club and help create such a friendly atmosphere. The course is often ranked as one of the best in Northern Ireland and has great quirky history. We are very lucky to be around the corner from the World Famous Royal County Down recently ranked world number 1. How many golfers does Ardglass Golf Club welcome each year? We have welcomed a growing number of both local and international golfers through our doors each year – equating to 28,000 rounds played per year! Is equipment rental available for visitors to the area? Absolutely, those wishing to drop in for a round can simply hire equipment from us here – no need to travel with your golf bag! We have everything you need to head to the 1st tee. Is it easy for a visitor to the club to access the greens for a day? Yes, we would strongly recommend that visitors check in with us in advance of their planned golf trip to check for availability and avoid disappointment. As the demand grows for players to play Ardglass times can become difficult in getting last minute. I think one of my favourite things about the sport would be the range of people you meet over the years who tend to be from all walks of life. It gives players a great opportunity to get to know each other. Without Golf I’m not sure what path my life would have led. It’s a huge part of my life and many if not all my close friends happened through golf. What do you think of the golfing scene in Co. Down? It’s fantastic! Especially as Co. Down is home to Royal County Down in Newcastle which has been named as the world’s number one golf course. Many of the world’s best golfers have paid tribute to its variety of challenging holes and beautiful scenery as it is located on the foothills of the Mourne mountains. It is truly spectacular. Kevan Whitson the Head Professional and his team do a great job looking after the many thousands of golfers that arrive at Royal County Down each year. It really is the best. What do you think about Northern Ireland’s rise over the past 10 years in the golf world, having hosted a number of world-class golfing competitions and being the birthplace of so many golfing legends? It’s superb. Thanks to local golfing stars like Rory McIlroy, Darren Clarke and Graeme McDowell, combined with the great variety of courses on offer, Northern Ireland has truly earned an enviable reputation in the golfing realm. Their legacy will help us develop the game even further in years to come. For me any golfer who hasn’t visited Northern Ireland on a Golf trip then certainly needs to do so. I promise I am not biased!! What top tips would you give for someone looking to perfect their golf swing? I don’t believe there is a ‘perfect swing’ as such. As individuals we all come from different make ups and make different movements so it’s really about knowing what you’re capable of and finding out what works best for you and then developing that. What golfing events are you most looking forward to this year? There are certainly a few. The Open at Carnoustie and the Irish Open at Ballyliffin which take place in July, alongside the Ryder Cup in France in September. These are definitely calendar favourites for many golfers and will feature a great display of local and worldwide talent. Who would you most like to play golf with? I think I would most like to play with Tiger Woods, Jack Nicklaus and Rory McIlroy – it would make for an interesting game! For me they are 3 of the most iconic figures in world golf but it comes quite easy to me in picking these 3. Cypress Point in the USA. Augusta National comes close but Cypress wins for me. If you’re considering golfing in County Down, we recommend making a two-day trip of it by stopping in for a round at St. Patrick’s Golf Club, staying overnight at Dufferin Coaching Inn, and then setting off to Ardglass Golf Club. Leontine Haines, owner of Dufferin Coaching Inn and member of Ardglass Golf Club, can assist visitors with bookings for tee off times and provide secure storage for guests golfing equipment as well as drying facilities for any clothing.